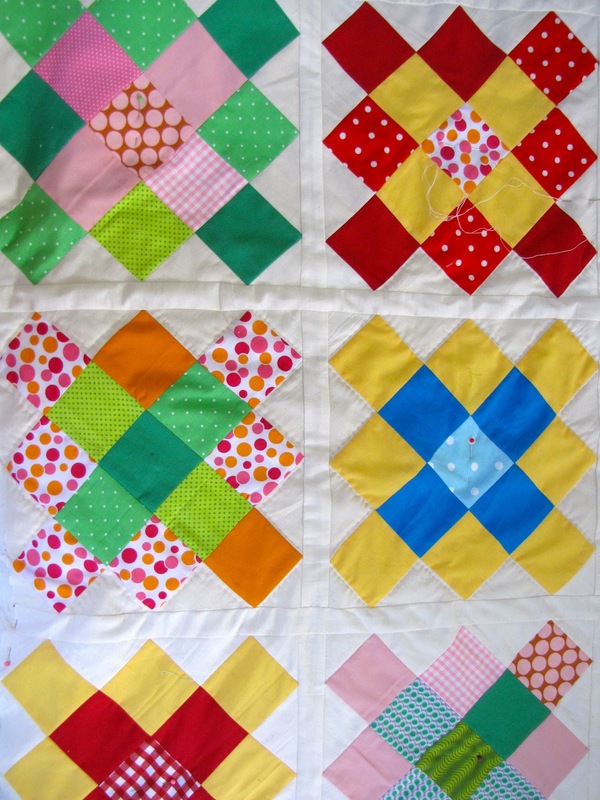 This Saturday from 3-5pm--come out & work on the quilts! 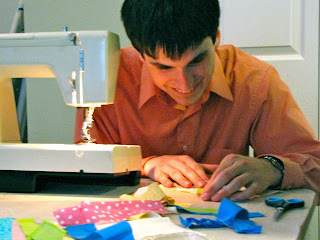 Last week at craft night, Chris & Emily learned how to use the sewing machine and pieced together some quilt blocks. Here they are, hard at work! Also, a little reminder that our next craft night is Wednesday 5/16 4pm-9pm. It's pretty informal so come when you can and stay for as long as you'd like! Just wanted to drop in and let you know our next Craft Night is May 10th from 6-9pm--I hope that you can come! Here are some photos of our progress from Craft Night! Emily worked on hand-quilting the "granny-square" inspired quilt blocks. 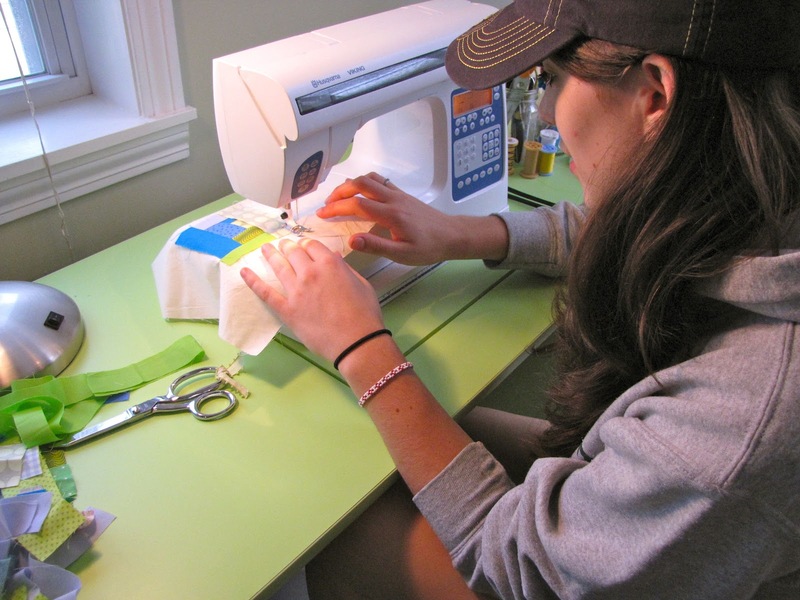 Already, she is becoming a pro in her second week of quilting. 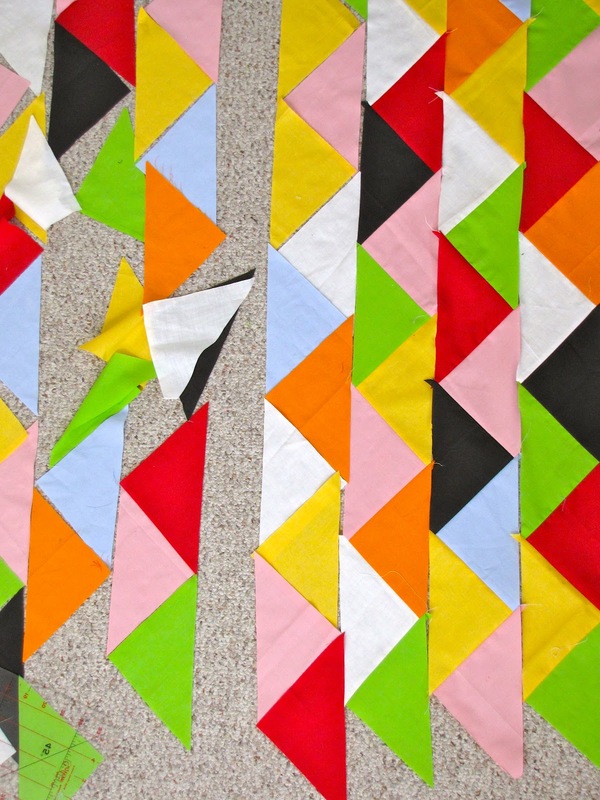 First time quilters, Katie and Chris, worked on hand-quilting the zig-zag quilt (and did an amazing job!) 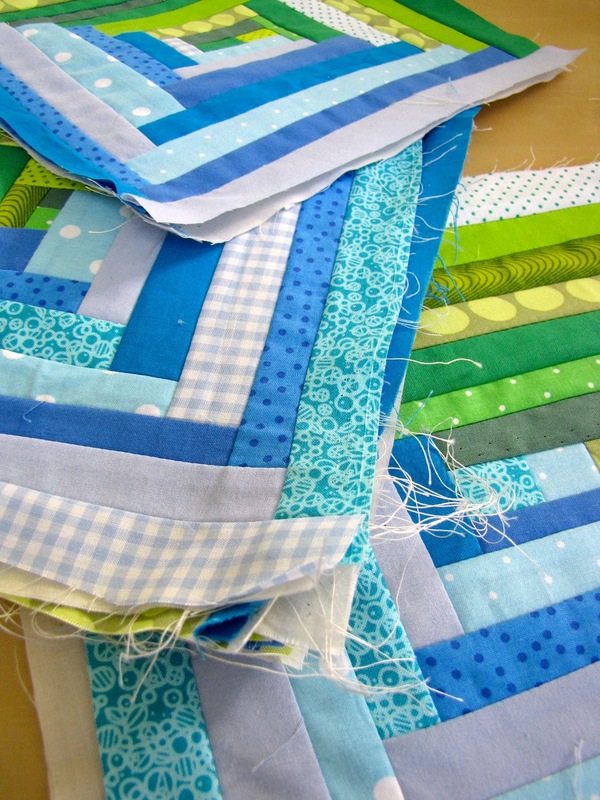 Meanwhile, Victoria stitched up some very lovely green and blue log cabin quilt blocks at the sewing machine! Our initial goal here is to make five quilts and take the time to make them really well. It was very fun and we hope that you can join us during our next get together on May 3rd. Here we are, at the beginning of something great. We are starting this ministry to be in fellowship with one another and to reach out beyond our church and show love. This blog is here as a resource so that we can keep up with what's going on and what's new! What's a Craft Night? Well that is the community aspect of this--we get together and work on baby quilts to be taken the upcoming mission trip to the Dominican Republic. Simply bring yourself (or your sewing machine if you feel so inclined!). Don't know how to quilt? No worries--we would love to teach you! 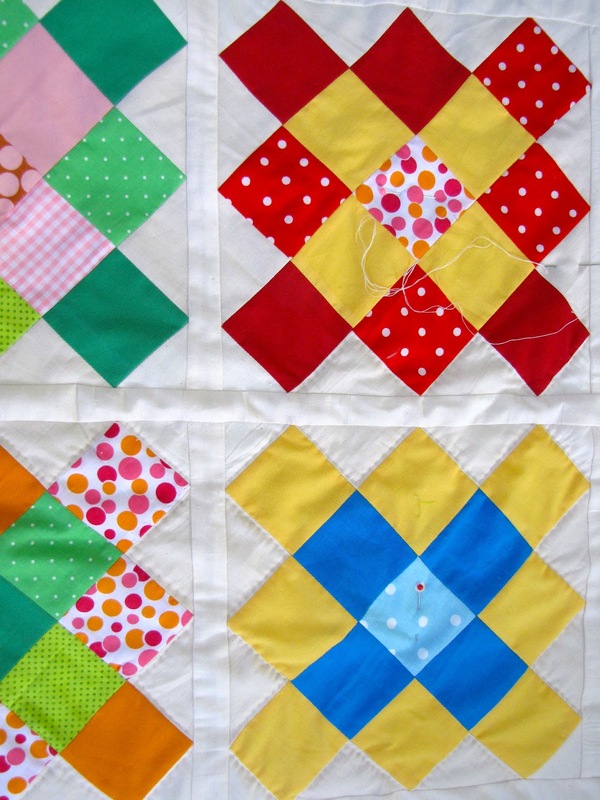 VISION: The Fabric of Faith Quilt Ministry exists to show an outpouring of God’s love onto others. By utilizing our gift of craftsmanship we seek to show love in a tangible way. 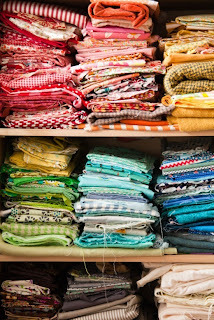 The quilts made by Fabric of Faith will sent out with missionaries so that our impact is seen not only here in Vermont but throughout the world. We seek to work together as a community to grow ties with one another and to share in our Christian walk. VALUES: Loving People. Creative Compassion. Community Involvement. Using the gifts God has given.